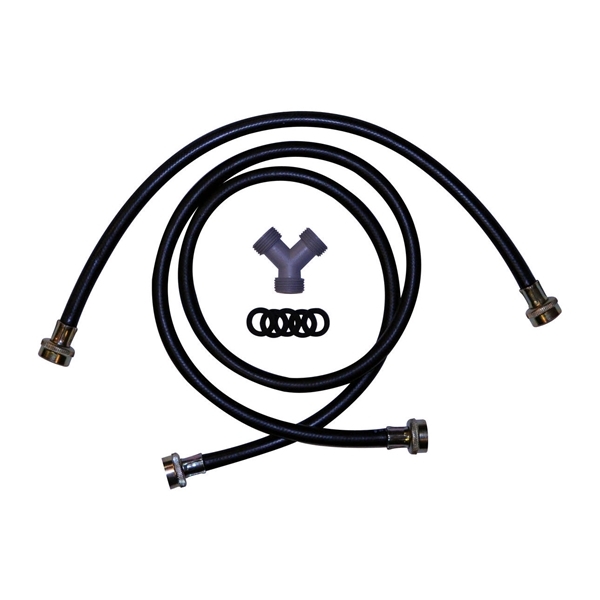 Replacement steam hose kit for your Duet, Cabrio, Performance Series, or Bravos Dryer. Kit is designed for use when purchasing a steam dryer alone, or along with a a washer and washer hose set. The kit contains (1) 5' hose, (1) 2' hose, (1) Y connector, and o-rings.